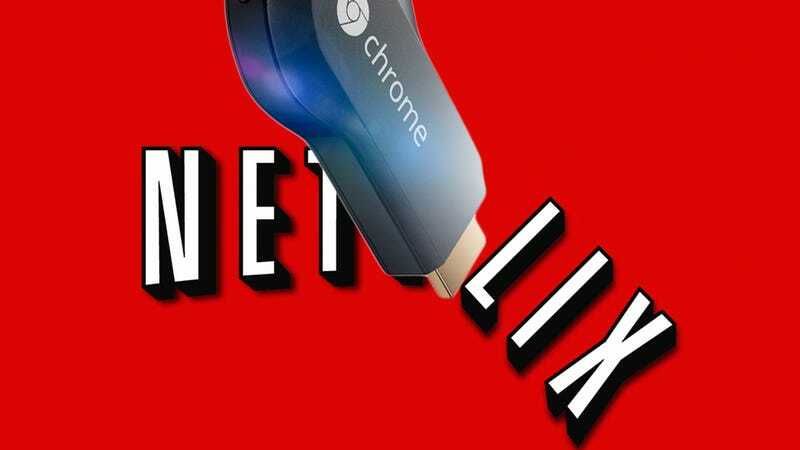 If you ordered Google Chromecast—that delightful yet limited media dongle announced on Wednesday—for the three months of free Netflix it came with, you might be disappointed to find out that the cutoff for the promotion was even earlier than you thought. Especially if you bought from Amazon. According to Amazon's Chromecast product page, only orders placed before 5:31 PM Pacific time on Wednesday are eligible for the Netflix offer, a deal that effectively drove Chromecast's price retail price of $35 down to $11. Remember, though, that Chromecast didn't even appear on Amazon until around 1:30 PM Pacific that same day. Meaning that you had all of four hours to take advantage of what's probably the product's best selling point. If you purchased from Google Play, you fared a little better; Google's going to honor the promotion for sales that took place up to 1PM Pacific yesterday, which is about 20 hours longer than you had on Amazon but still about an hour before the cutoff was widely reported. In both cases, it appears that you'll only find out for sure if you made the cutoff when you get an email with a promotion code, one that might not even show up for a few days. It's true that Google presented the Netflix deal as a limited-time offer, but I'm not sure anyone thinks of "limited" as a four-hour window. Especially not the folks who are finding out today that their fancy new dongle ended up costing three times as much as they thought.